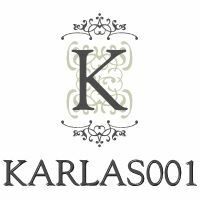 I'm a Designer for Karla! Thank you so very much Karla for selecting me as Part of your Elite Dream Girls Design Team!!! I can't wait to get started. But first I have to finnish and wrap up several of my swaps thru the end of the year. So begining January 2012 I will present my first Design Team Project. So Stay tuned for some Yummie creations from Karla's Goodie bags!